Lisbon has it all. The city is a cool mix of a relaxed atmosphere, a fascinating history and lots of traditions. At the same time the city is quickly transforming into a modern and überhip hotspot. 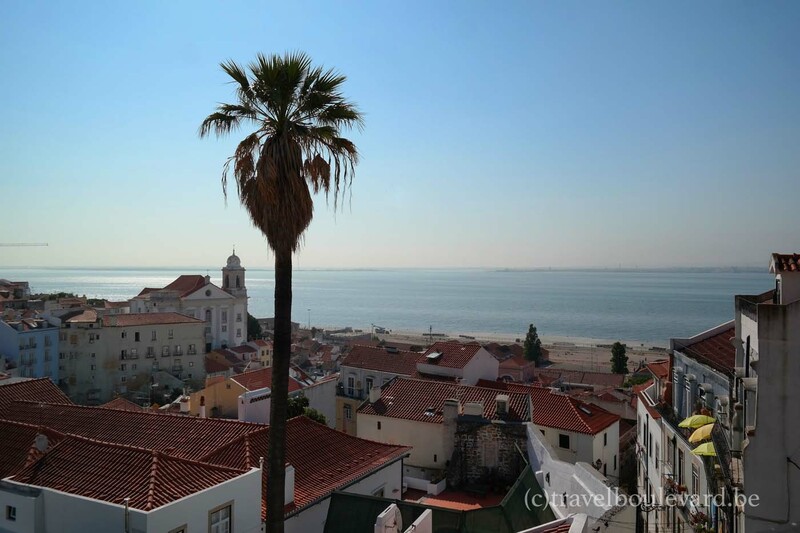 I just got back from this fascinating Portuguese city and although it was just a ‘quicky’ – a two day visit – the city and its people blew me away. With only two days to discover Lisbon, I wanted to have the best Lisbon-experience possible, and guess what: I did! During my visit I had the luxury of having not one but two guides: two fabulous Belgian ladies who lived in Portugal for several years (our official guide Annick and Nathalie from InSight Portugal), and yes, they had an answer to all of my questions. So here we go. #1. Cool old buildings here. How old is Lisbon? Pretty old. It’s one of the oldest cities in the world. London, Paris and Rome are just babies compared to Lisbon. While Athens in Greece may be the oldest European city (dating back 3400 years), Lisbon is the second oldest (3200 years). #2. Ow, really? But the city doesn’t look that old! That’s because in 1755 Lisbon was hit by devastating earthquake and tsunami. The city was almost completely destroyed and had to be rebuilt from scratch. The idea was to build a ‘new’ Lisbon that was earthquake-proof and perfectly ordered. So that’s why the city now has a rectilinear look with big squares, large avenues and boulevards. A job well done and quick: it took less than a year to rebuilt the city. #3. The H&M in the Rua Augusta has a glass floor where you can see a stone wall. What’s that all about? Those are the ruins of the stone tanks in which the Romans stored salt fish. Apparently there are still a lot of ancient ruins hidden under the city, waiting to be unveiled. Another curious thing-to-see in the same street is the little private museum in the basement of the Millennium BCP Bank. This underground site was discovered during renovation work in 1991-95 and displays the history of Lisbon starting from Phoenicians and the Romans. #4. What is this thing called Petiscos and why does it tastes so good? Pestiscos are like Spanish Tapas, but with a Portuguese twist. Think: several small plates with lots of yummies. Just dig in! Petiscos are a fantastic way to have a taste of the (traditional) Portuguese cuisine. And it tastes so good simply because the Portuguese are really excellent cooks. 6. Great! But what are those cute yellow thingies they serve with beer? Those are Lupini beans, or tremoços in Portuguese. It’s a traditional food you’ll find in the whole of the Mediterranean and Latin America. They taste a bit salty and you have to ‘pop’ the bean out of its jacket using just your thumb and finger. Not easy and a bit tricky; it takes a bit of practice and the first time couple of times you’ll probably launch the bean right into space (or on your neighbors lap), but don’t worry, after a couple of beers you’ll get the hang of it. And after a couple of extra beers you just won’t care anymore. #5. And what’s up with the wines here? They are so f***ng amazing! Can’t go wrong with wine in Portugal: they’re (very) good and they’re pretty cheap as well. You can find excellent bottles of wine for only 5 Euro! #7. Who’s this Saint Anthony-dude everyone is so crazy about? 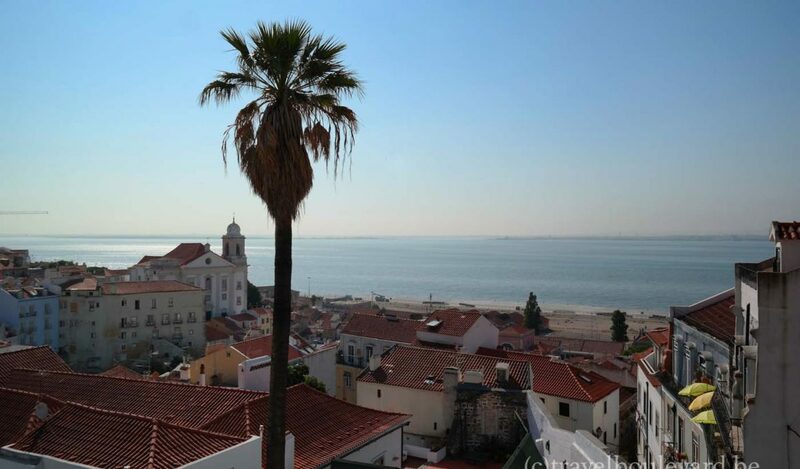 Saint Anthony is the patron saint of Alfama, one of the most beautiful and characteristic neighbourhoods in Lisbon. Saint Anthony is actually a pretty cool dude. He’s quite popular: take a walk through Alfama and you’ll notice lots of little (and bigger) shrines dedicated to the saint. Anthony was born in 1195 in Lisbon, became a Franciscan Friar and the story goes that one day he got tired of preaching to heretics, so he went to the river and began preaching to the fish instead. Apparently the fish were ecstatic by this; they gathered around to hear him preach and raised their heads above the water to hear him even better. And that’s why during the Saint Anthony’s festivities (12-14 June) there’s a BBQ’s with grilled sardines on every corner. Fun facts: Since Saint Anthony is also the patron saint of marriage, it’s tradition to hold a collective wedding ceremony during the festivities with 12 ‘Brides of Santo Antonio’ (and they’re not marrying Saint Antonio but their fiancé, just wanted to make that clear). Don’t have a fiancé? Don’t worry: popular Anthony is also into matchmaking and with all the lonely hearts in the world he’s quit a busy saint. There are lots of rituals to beg Saint Antonio for a lover. Portuguese men for instance present the girl they have a crush on a basil plant and a love poem dedicated to their girl and/or Saint Anthony (yes, that’s why you can spot balconies across the cities decorated with pots of basil plants and a piece of paper). Tip: the Alfama-neighbourhood is Lisbon’s oldest and most beautiful quarter that was mostly spared in the earthquake and is a must visit. For a picture-perfect view head to the Miradouro Largo das Portas do Sol, the terrace above the Alfama district. It’s one of the best places to catch the sunrise in Lisbon. And if you happened to be in love: there’s room for a love lock on the terrace. #8. Okay, cool. But what about this other dude Vincent, the one with the ravens and the ship? Saint Vincent is the patron saint of Lisbon. Legend goes that ravens escorted and protected the ship that transported the body of Saint Vincent to Lisbon, where he would be buried. Because of the ravens and the ship, he is mostly portrayed with – ow surprise! – ravens and a ship. By the way: the raven (and ship) is also the symbol of the city of Lisbon. #9. So what should I know about Fado? Fado gives expression the emotions of life: sadness, melancholy and yes, even joy. The word Fado is derived from the Latin fatum, meaning as much as fate, or better said: fate, translated into music. Fado originated around 1829 in the poor quarters of Lisbon Alfama, Bairro Alto, and Mouraria. It used to be sung in shabby bars, but gradually it’s melancholic sound became more and more popular. Amália Rodrigues is regarded as one of the most important and most influential Fado singers ever. Since Fado was born in Lisbon, you should definitely try to attend a Fado performance. Being ‘sad’ together with the locals is, well, euh, big fun. #10. What’s the difference between Portuguese and Spanish? Spanish and Portuguese are both two Romance languages and have a close relationship. Yet, there are some tricky differences too. If you already speak Spanish, you’ll probably be able to read Portuguese, but hearing Portuguese might leave you clueless, the two languages sound completely different. Plus, some words have different meaning: the Portugese botiquím means bar, while in Spanish botiquín is a first aid box. And if you’re embaraçada – confused – in Portugal, you’re embarazada – pregnant! – in Spain. #11. What’s with all the renovation going on? It’s complicated, but in short: a couple of years ago there were a lot of buildings in (very) poor condition. Much had to do with a more than 100-year old bizarre rent controlling law, meaning that tenants paid even less than 50 Euro a month. Of course house owners failed to keep up with the maintenance of the house. The law changed, and renovations have finally began. #12. What do people mean when they say Lisbon is ‘4 cities in 1’? Well, some typical Lisbon landmarks might remind you of some other landmarks and characteristics from other cities. The first city: There’s the statue of Christ the King (or Cristo Rei), overlooking the city of Lisbon in the central part of Portugal. It was inspired by the Christ the Redeemer statue in Rio de Janeiro (Brazil). The project was inaugurated on 17 May 1959 and was erected to express gratitude because the Portuguese were spared the effects of World War II. The second city: Lisbon is built on 7 hills. And what the other famous city also built on 7 hills? Indeed: Rome. The third city: How about that 25th of April Bridge? It is a suspension bridge that connects Lisbon with Almada on the left (south) bank of the Tagus river. And doesn’t it look a lot like the Golden Gate Bridge in San Francisco? The fourth city: The Santa Justa-lift is an elevator in the Rua de Santa Justa, connecting the lower streets of Baixa neighbourhood with the higher Largo do Carmo. It was designed by Raul Mesnier de Ponsard, a student of the iron craftsman Gustave Eiffel. Yes, and here you have it: Paris. #13. What’s the deal with the Tuk-Tuks? The Tuk-Tuk was introduced in Lisbon by Asian immigrants: the funny little cars are perfect for climbing all this hills and they can manoeuvre easily into the smaller streets of Lisbon. So bringing the Tuk-Tuk to Lisbon was a pretty good idea. 14. And why does everyone wants me to take tram 28? Because it will take you to the best parts of old Lisbon. The little trolley eléctrico 28 is a legendary tourist attractions, a vintage yellow tram that criss-crosses the city centre. The electric tram was introduces in 1901 en keeps on running. There are a couple of lines in service but if you want to hop on and hop off to see the best of Lisbon, it’s the 28 you want. #15. Tried the Tuk-Tuk, and electric tram, and now you want me to rent a Beetle? It’s quite amusing to drive around Lisbon in a convertible. So it’s just for fun. #16. Last one: what’s the best way to travel to Lisbon? Well, that all depends from where you’re departing of course. Vueling flew me safely from Brussels to Lisbon and CheapTickets.be sponsored this trip. CheapTickets.be offers an easy way for finding – yes – cheap tickets. Now you might think I am bias (because of the sponsored trip), but I would never have accepted their invitation without being sure they actually do deliver what they promise: finding cheap tickets. So I did the test, checked a couple of destinations, compared pro and cons and indeed: I really did find some good deals. Just have a look online yourself and check it out. And for the Belgian readers: the company has a Belgium office with operators speaking both Dutch and French. So how cool is that? Fun post. I could easily live in Lisbon!! Interesting and very funny to read. Hope to visit soon. Thx! I love it also. I really enjoyed how you’ve presented it and especially amused with your language examples. Too true!